The speech of Reform Party chairwoman Kaja Kallas had been that of an opposition leader rather than that of a candidate for prime minister, and while it contained plenty of criticism, Ms Kallas lacks ideas how to move Estonia forward, minister of education and Centre deputy chair, Mailis Reps, said. 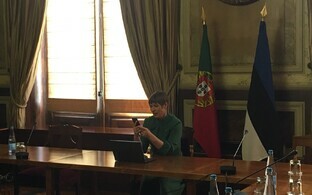 The aim of Ms Kallas' speech clearly had been to paint as negative a picture of Estonia's future under a Centre-EKRE-Ismaa government as possible, Ms Reps said, while it didn't offer any new ideas how to do things differently. Ms Kallas had earlier announced that her speech indeed wouldn't offer "figures", but instead talk about the values a Reform-SDE coalition as proposed by her would choose as its aim. Living in Estonia definitely isn't as bad as Ms Kallas made it sound, Ms Reps said. 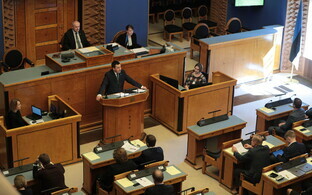 Beyond that, the Estonian state needs to be built by political parties that work together. She would have expected a candidate for prime minister to offer more substantive and constructive thinking, not just criticism. "Instead of a positive program, there was only the affirmation that the next government coalition won't have anything good to offer to anyone," the minister said, adding that to her personally, Ms Kallas' speech was a disappointment. 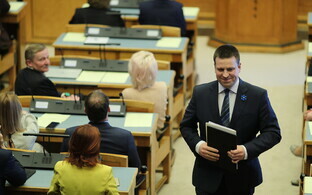 What stood out in the speech, Ms Reps went on to say, is the continuing us versus them mentality, along with actual incomprehension on the part of the Reform Party why some people in Estonia wouldn't want to see them back in government. "I understand that there are people to whom the coming government coalition isn't the best, and who have also expressed this. In previous years, farmers, doctors and those against ACTA showed their displeasure in a similar way. This is a strength of democracy, and we all need to contribute more to make sure that instead of antagonism we try to find common ground, and understand each other better," Ms Reps said. 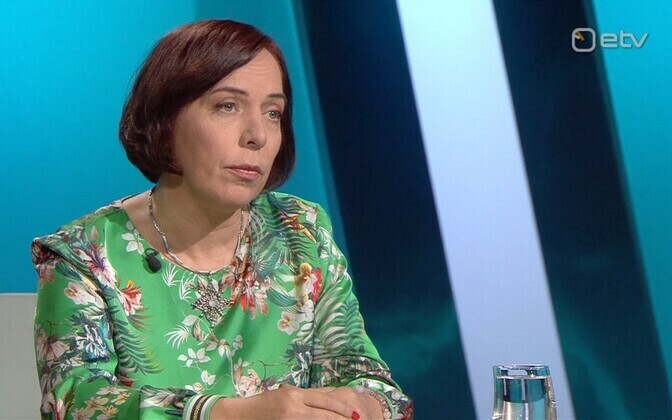 She added that as one of the Centre Party's representatives in the coalition negotiations with the Conservative People's Party of Estonia (EKRE) and Isamaa, she has no understanding for some parts of Ms Kallas' speech, where her references in no way correspond to the actual principles of the agreement between the two parties. "The talk about women as birthing machines, or how we are faced with stagnation, hatred and a misogynistic society, in my opinion was more than strange. As someone who sat at the table during the consultations, I can say that the speech also included unnecessary intimidation and claims that plainly aren't true," she said.